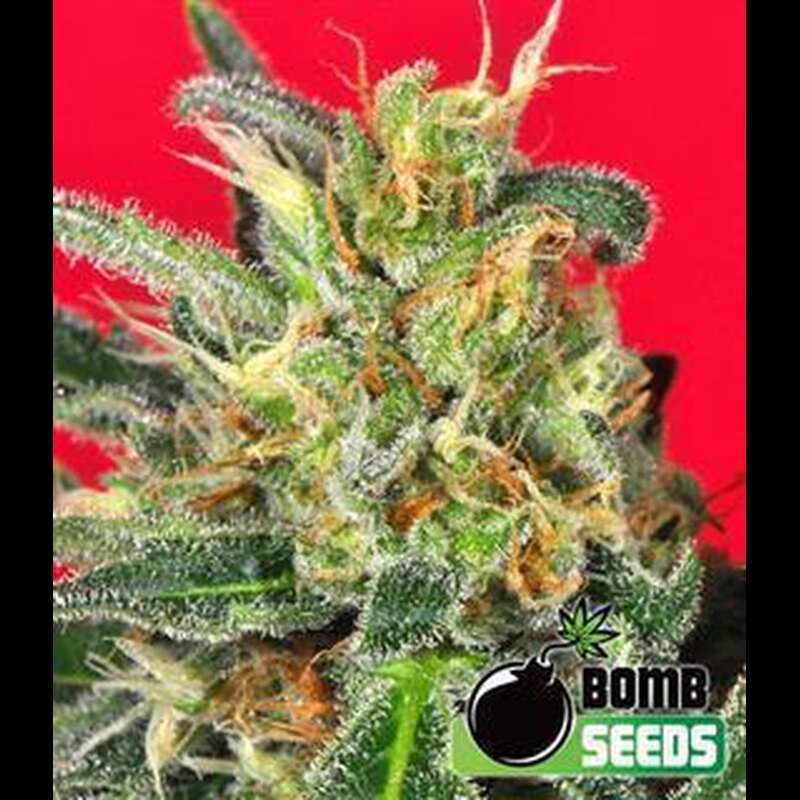 The latest addition to the Bomb seeds range; Cluster Bomb is everything that Bomb genetics have become famous for, huge yielding, fast growing and powerful enough to blow you away! This truly explosive strain was developed using the original Sensi Skunk #1 and the legendary Cinderella 99 which was then crossed with their very own exquisite Bomb #1. The resulting genetics are truly awe inspiring; A heavily Indica dominant hybrid that has power and yield but thanks to the Cindy 99 genetics finishes faster than many other super high yielding strains available.The Indica dominance means the plant has a shorter, denser structure than expected when grown indoors. The exceptionally high flower to leaf ratio coupled with short internodal distance means this strain produces vast clusters of large dense buds. Multiple colas, growing from large side branches as well as a central stem mean that Indoor in a SOG or SCroG setup 700-800g per m² is possible with good lighting and a reasonable vegetation period. Cluster Bomb is a must for commercial growers where strength and yield are key.The aroma is beautiful, a rich skunk with hints of orange and strawberries that has a powerful body hit, but still maintaining some of its Cinderella, cerebral, psychoactivity. The effect from Cluster Bomb is long lasting and intense.